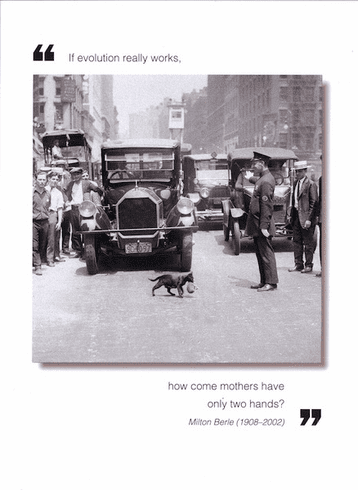 Outside: If evolution really works, how come mothers have only two hands? - Milton Berle Inside: Blank. Borealis Press card measures 5 x 7 inches. Includes envelope.